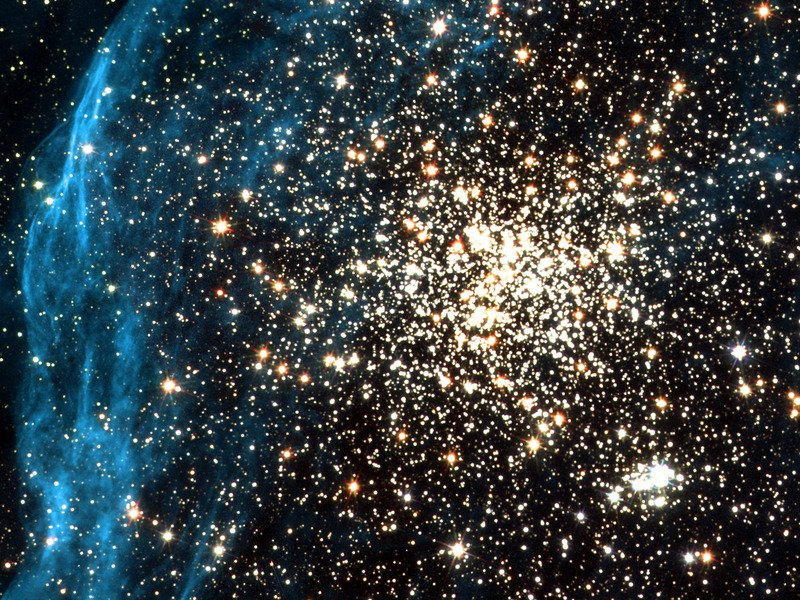 We live in a grand Universe, full of mystery, beauty, and the potential for life. Yet we rarely stop to marvel at our place in the cosmos. Through his poetic, inspirational words, late astronomer Carl Sagan helped us realise that life on Earth is a precious gift. "The origin and evolution of life are connected in the most intimate way with the origin and evolution of the stars." This large cluster contains hundreds of thousands of stars and is 180,000 light-years away in another galaxy, the Large Magellanic cloud. Click here to learn more. "The size and age of the Cosmos are beyond ordinary human understanding. Lost somewhere between immensity and eternity is our tiny planetary home." 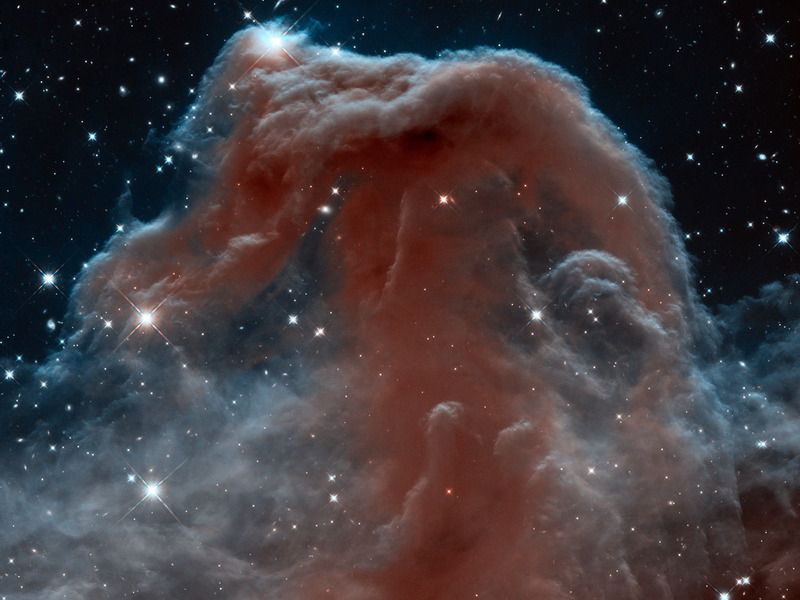 Because of its shape, this giant gas cloud is nicknamed the Horsehead Nebula and is about 1,300 light-years from Earth. Click here to learn more. "The surface of the Earth is the shore of the cosmic ocean. From it we have learned most of what we know. Recently, we have waded a little out to sea, enough to dampen our toes or, at most, wet our ankles. The water seems inviting." 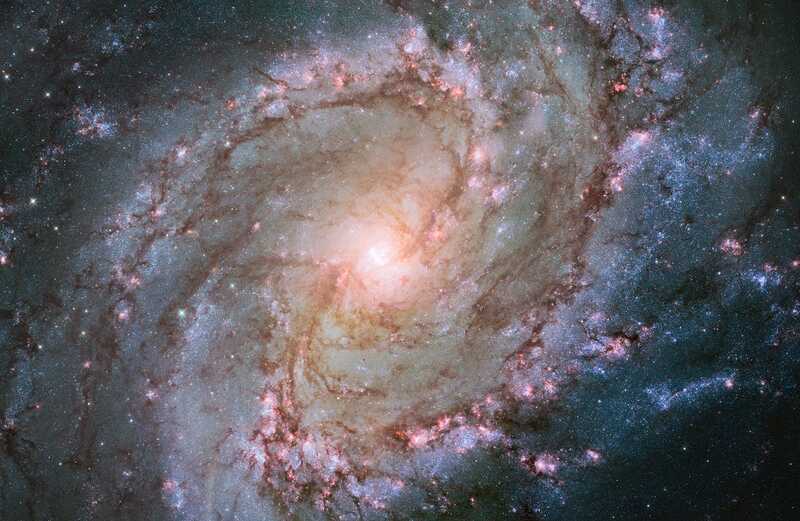 The Southern Pinwheel Galaxy is a mysterious place about 15 million light-years away. Click here to learn more. 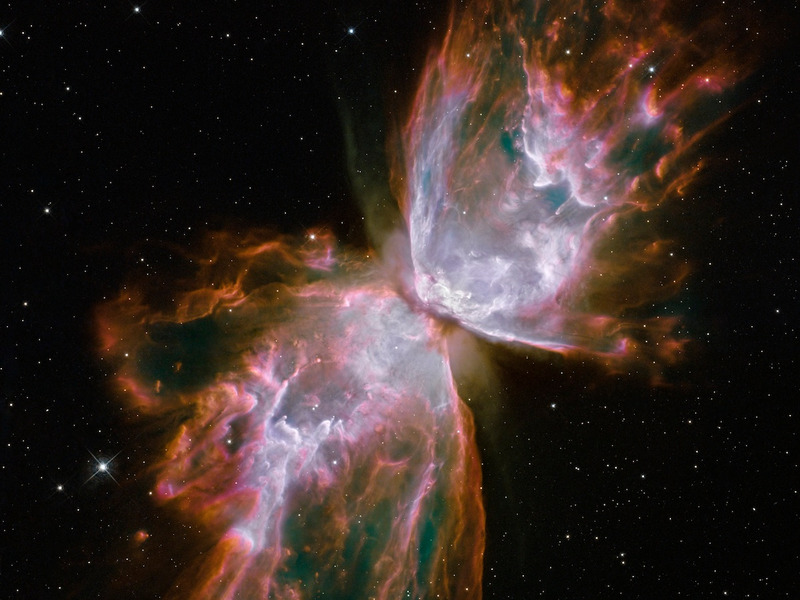 A dying star rests at the centre of the Butterfly Nebula. The wings are actually clouds of blazing hot gas that are jetting outward at nearly 600,000 mph (965,606 km/h). Click here to learn more. "Far better it seems to me, in our vulnerability, is to look death in the eye and to be grateful every day for the brief but magnificent opportunity that life provides." 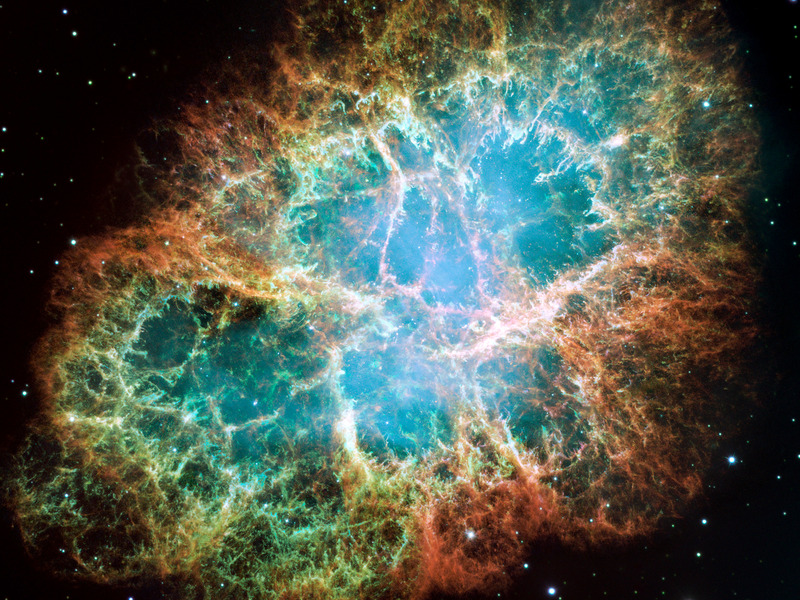 This is the largest, most detailed image of the Crab Nebula. It's the skeletal remains of a powerful supernova, which happens when a star 10 to 100 times more massive than our sun explodes in a brilliant blaze of light. "We live on a hunk of rock and metal that circles a humdrum star that is one of 400 billion other stars that make up the Milky Way Galaxy, which is one of billions of other galaxies which make up a universe which may be one of a very large number, perhaps an infinite number, of other universes. That is a perspective on human life and our culture that is well worth pondering." 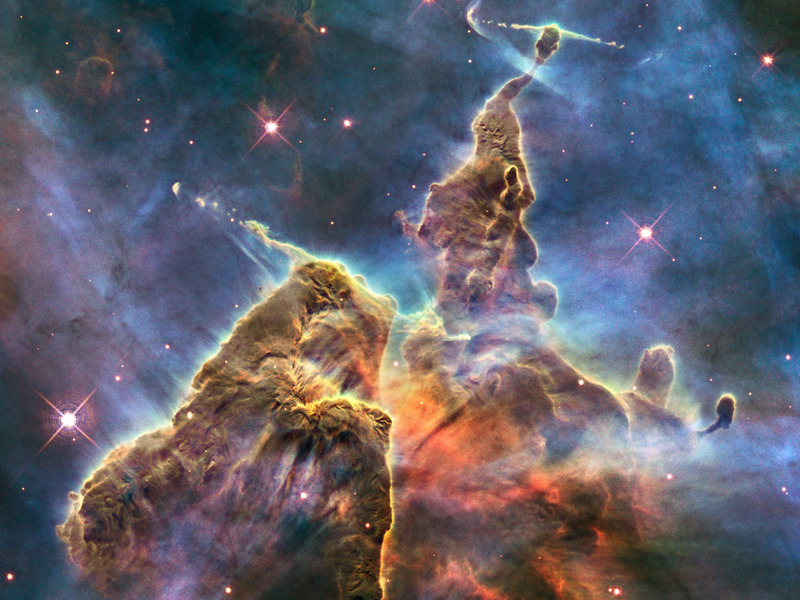 Inside the Carina Nebula are stars just starting to form. The pillar right of centre in this photo is 3 light-years tall, almost twice as big as our entire Solar System. Click here to learn more. 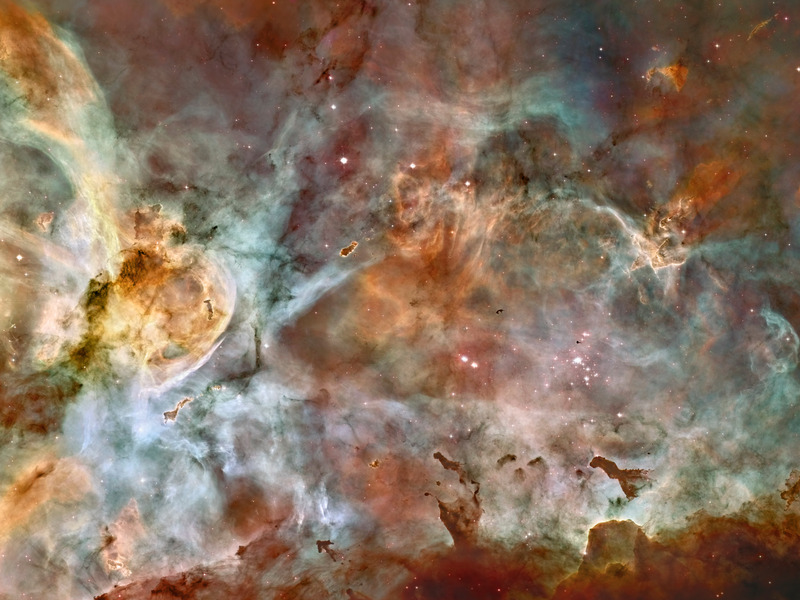 Here's a wider shot of the Carina Nebula, 7,500 light-years away. Click here to learn more. 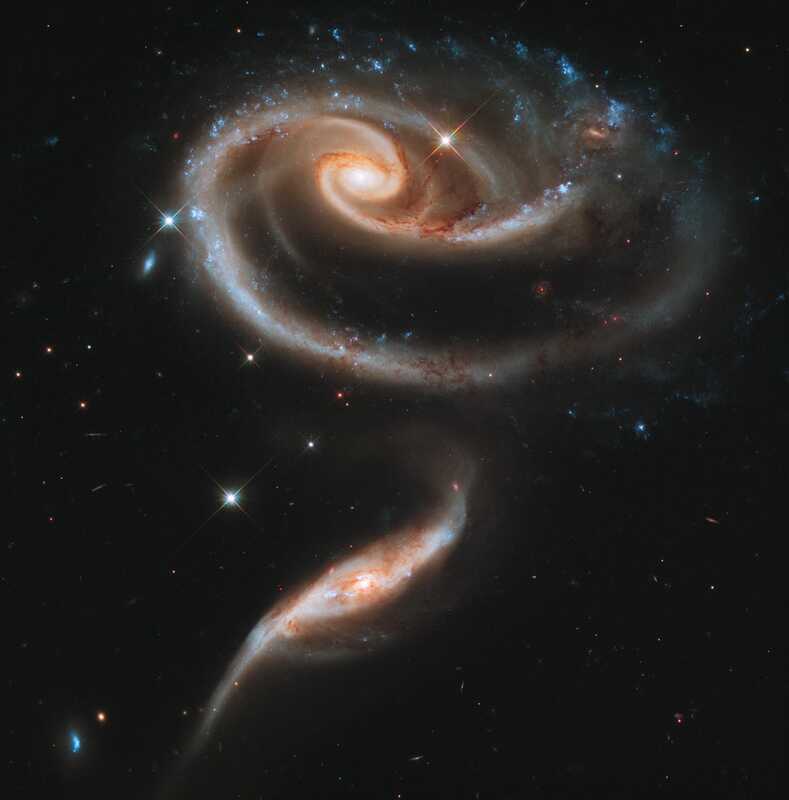 At 300 million light-years away, two galaxies are performing a cosmic dance around one and through one another. This behaviour will continue until, most likely, the two will merge into one larger galaxy. Click here to learn more. "I believe our future depends on how well we know this Cosmos in which we float like a mote of dust in the morning sky." This photo was not taken by the Hubble Space Telescope. 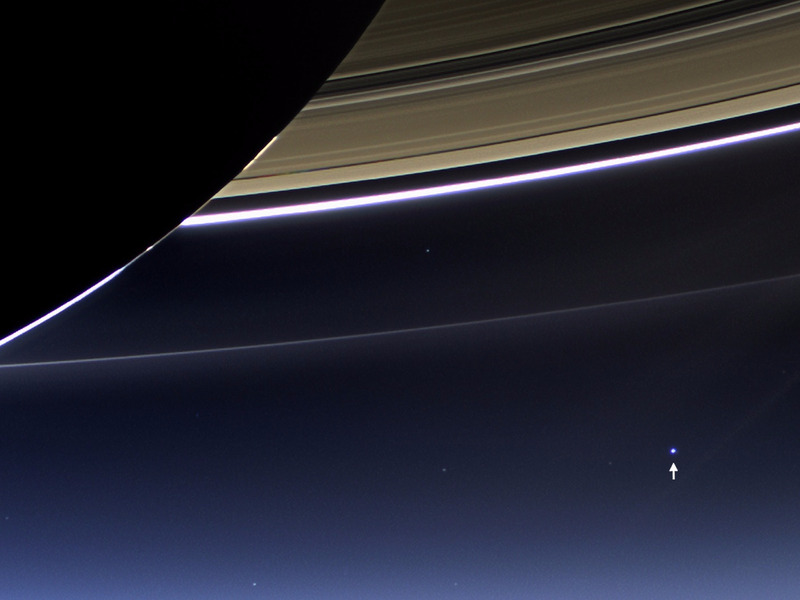 Rather, NASA's Cassini spacecraft in orbit around Saturn right now took this rare photo, which reveals Earth as the small blue dot to which the arrow points. Click here to learn more.